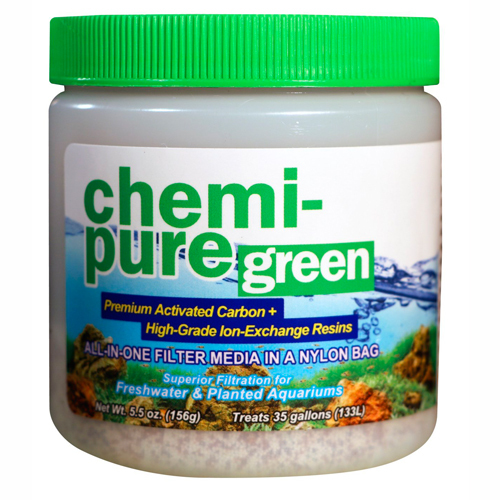 Brief Description: Chemi-pure Green is the ultimate all-in-one filtration media for freshwater planted aquariums. Conveniently packaged in an easy to use nylon bag, Chemi-pure Green is formulated to offer superior filtration without removing essential nutrients. Notify me when "Boyd Chemi-Pure GREEN [5.5 oz]" is re-stocked.